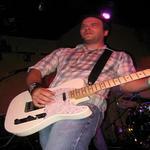 Sign up for Broadjam today to follow Eric Mallon, and be notified when they upload new stuff or update their news! My 2nd attempt. Recorded 2004. My first attempt. Recorded in 2000.